At the turn of the century, horse racing drew big crowds. It was a petri dish for all sorts of illicit activity, and the term turf—referring to the game surface—was used as slang for a variety of peripheral affairs. Gentlemen would spend their time at turf clubs drinking and gambling; first at actual race tracks, and later at places like the uncreatively named Turf Club in Manhattan, which lacked horses but offered all the raucous stuff that came with it. These gentlemen would describe each other as turfy, all the while drinking turf cocktails to forget their frivolous endeavors. Sorting out what makes the turf cocktail special is a bit of a headache. 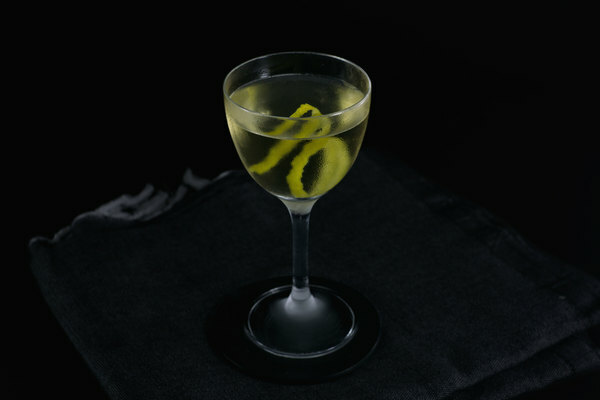 It was first published in the 1884 tome How To Mix Drinks—Bar-Keepers Handbook; the recipe requested only gin, dry vermouth, and a dash bitters. 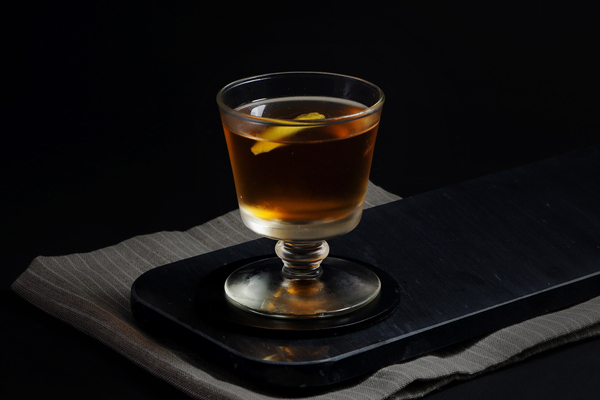 If that sounds a lot like a martini, that’s because most people think the turf, along with the Martinez, acted as a direct ancestor to the now famous gin drink. But while the martini transformed into a hallmark of boozy minimalism, the Turf remained more open to experimentation. Later books describe something very close to a martini, while others include both maraschino liqueur and absinthe. 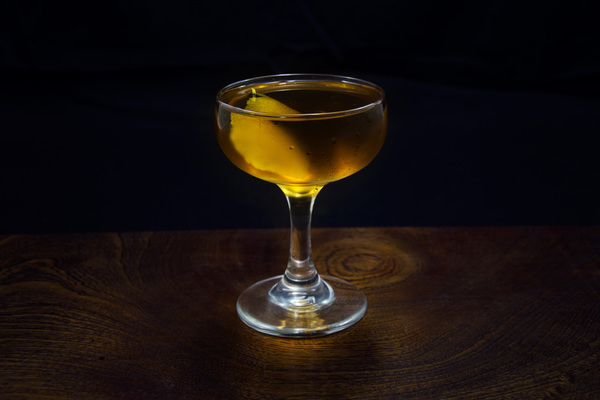 By the time famous gallivanter Charles H. Baker got to the turf in 1946, he would include three separate recipes: one with only Holland gin, vermouth and bitters; another with absinthe, maraschino, and dry gin; and a final version exactly like the second, but with Old Tom gin. While a half-and-half martini is a fun adventure in history, it feels more like a pesky request from a smarty-pants bar patron, not a wholly different drink. 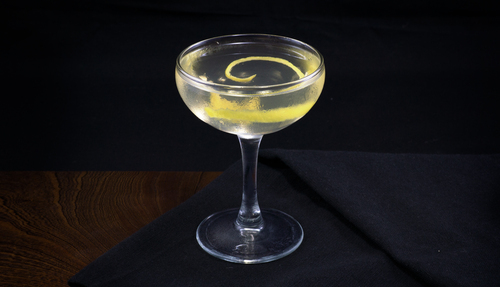 To us, the addition of absinthe and maraschino are what place the turf into a class of its own. We don’t like half vermouth cocktails—it’s just too much—but this cocktail is a great way to drink the savory stuff, and we’ve accordingly included a slightly smaller, but still substantial portion. Early versions of this recipe skip the garnish, but drinks like this are almost always better with a lemon twist. The turf is excellent with dry gin, but an Old Tom version would be special. If you have a bottle, we can’t think of a better time to crack it.